Public conversions from Islam to Christianity in Egypt, a country whose population is 10 percent Christian, ignite major controversy. While no Egyptian law forbids conversion to Christianity, Islamic law treats it as apostasy deserving of death. In 2007, Mohammed Ahmed Hegazy, a 25-year-old Egyptian convert from Islam to Christianity, petitioned officially to change his religion on his national identification card. 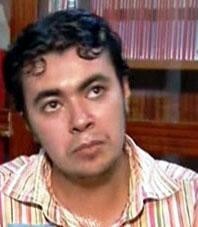 Hegazy was the first Muslim-born Egyptian to sue the government for denying him official recognition of his religion, in contrast to most Christian converts who maintain a low profile for fear of persecution. As a result, Hegazy aroused media attention and public controversy and had his home in Port Said set ablaze, found himself facing execution threats from Islamic clerics, and went into hiding. Some 300 intellectuals, poets, and lawyers responded to Hegazy's petition by issuing a statement opposing him and urging both Muslims and Christians not to support him because "he's a long way from both Islam and Christianity." Egypt's grand mufti, Ali Gomaa, has spoken against punishing apostasy, saying that "from a religious prospective, the act of abandoning one's religion is a sin punishable by God on the Day of Judgment. If the case in question is one of merely rejecting faith, then there is no worldly punishment." Gomaa's position is, in fact, much more moderate than that of the Egyptian public, which deems apostasy the most serious of sins that merits capital punishment. Despite, the mufti's comments, Egyptian courts have consistently chosen to reject Muslim conversion to Christianity. A year before Hegazy's request for official recognition, another Muslim convert to Christianity, Sheikh Bahaa el-Din Ahmed Hussein el-Akkad, was arrested and jailed. In blatant contradiction to Egyptian law, Akkad was imprisoned without charges for eighteen months and then released without explanation. According to his lawyer, Egyptian authorities jailed Akkad "only because he has chosen a different belief, to be a Christian." In January 2008, a Cairo court ruled that it was against Islamic law for a Muslim to leave Islam, thereby denying Hegazy and other Egyptians the right to convert to other religions. In reference to Hegazy's case, Judge Muhammad Husseini told the administrative court, "He can believe whatever he wants in his heart, but on paper he can't convert." Despite this ruling, a month later an Egyptian court allowed twelve Coptic Christians legally to change their religion from Islam to Christianity. In this case, the judge granted official recognition because the defendants had been born as Coptic Christians and had converted to Islam to obtain divorces. Islam allows a man to divorce his wife, but Coptic Orthodox Christianity does not. While some Coptic Christians see this ruling as a major victory, it is clear that its application is limited. Despite the grand mufti's statements against physical punishment for apostasy and the court's concessions for Coptic-born Christians, Egyptian society and the religious establishment continues to persecute born-Muslims who convert out. Stephanie Winer, a University of Pennsylvania student, is a former intern at the Middle East Forum. Compass Direct News Service (Santa Ana, Calif.), Sept. 12, 2008. "Egypt—Jail time extended for Christian rights workers," Open Doors, Witney, Oxon, U.K., Aug. 22, 2007. Nashwa Abdel-Tawab, "Whosoever will, let him disbelieve," Al-Ahram Weekly (Cairo), Aug. 9-15, 2007. Khaled Diab, "Faith and Punishment," The Guardian (London), Aug. 2, 2007; Abdullah Al-Araby, "Apostasy in Islam: The Point of No Return," Islam Review, accessed Sept. 18, 2009. Compass Direct News, Oct. 18, 2006. Compass Direct News, Sept. 12, 2008. Compass Direct News, Jan. 31, 2008. BBC News, Feb. 9, 2008. The New York Times, Feb. 11, 2008. Related Topics: Anti-Christianism, Egypt, Freethinking & Muslim apostasy | Winter 2010 MEQ receive the latest by email: subscribe to the free mef mailing list This text may be reposted or forwarded so long as it is presented as an integral whole with complete and accurate information provided about its author, date, place of publication, and original URL.